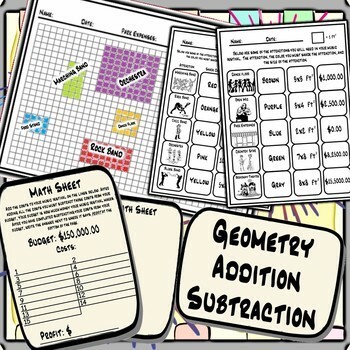 This Project is a great way to integrate Financial Literacy, Geometry, Subtraction, Addition, The Musical Instruments, & and More into your classroom! As you can see it not only does this cover multiple math standards, it also covers multiple standards in music as well! 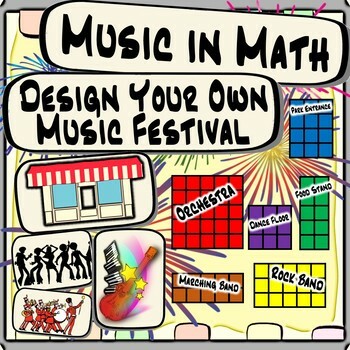 Students must design their own music festival, and hire musicians which are considered assets. As students begin charting their music festival on the graph paper, there are detailed instructions for them on how to be successful. Students will be given 15 attractions that must be in their music festival, each is sized by square feet differently. Each attraction also has a different cost, and has a specific color it must be shaded on the graph paper. When students have finished mapping out their Music Festival, they may also add other creative ideas they would like in their park such as pathways, a specific artist they love, or style of music they love. When students have finished adding all their attractions, they must add up all of the costs it would require to run those attractions in their festival. They must subtract the costs with the budget, and must have the correct amount for their profit in the end. 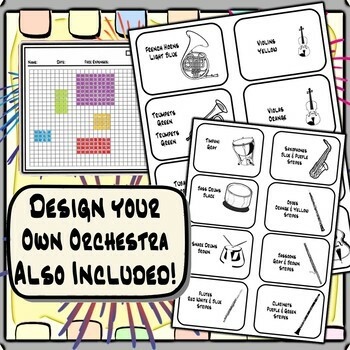 The Design your own Orchestra Project is the same exact project, in a more simple form. 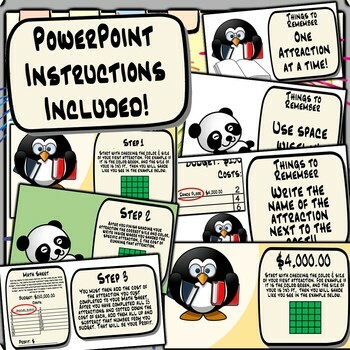 This requires students to focus on the geometry aspect of the project without all the adding and subtracting of costs, and profits. If you feel that the design your own Music Festival is too difficult it would be great to start your students out with the design your own orchestra first.